Imagine If A Wrong Decision In Your Online Business Meant Death… How Would Your Approach Be Different? Revealed On This Page – How I, Jason Fladlien, Was Able To Uncover Unknown Secrets Of Success Only Known By 0.00000000214% Of The World’s Population! It started innocent enough. I was browsing Reddit one day when I saw a post about the dead bodies of Mt. Everest. These are climbers who died attempting to climb the tallest mountain in the world… yet are too high to be able to get down. Year after year aspiring summiteers pass these dead bodies which serve as a stark reminder how dangerous high altitude climbing can be. Curiosity piqued I started reading up on Mt. Everest. 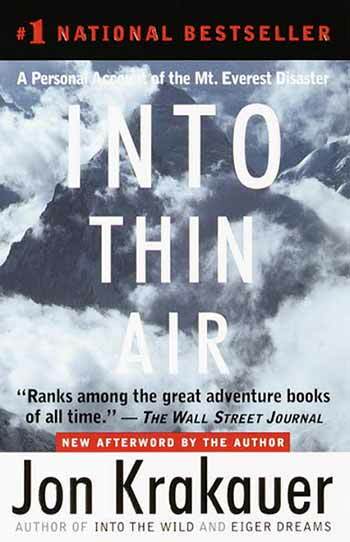 Before I knew it, I was reading “Into Thin Air” by Jon Krakauer on my Kindle. This documented first hand the 1996 tragedy where X climbers died. You might’ve seen the Movie they released last year called EVEREST which portrays a Hollywood version of those events. If you know me at all, when I get interested in something I get downright obsessive about it. In short order, I started reading every book I could find on Everest, and when that wasn’t enough, I started reading all the high altitude climbing classics documenting legendary climbs and climbers. After consuming dozens upon dozens of books on this subject, one climber stood out to me – a gentleman named Ed Viesturs. See, there are only 14 mountains in the whole world that over 8000 meters tall. As of today, there are only 33 people in the whole world who have summited all 14 of these peaks. Of those 33, only 15 have done it without the help of supplemental oxygen. 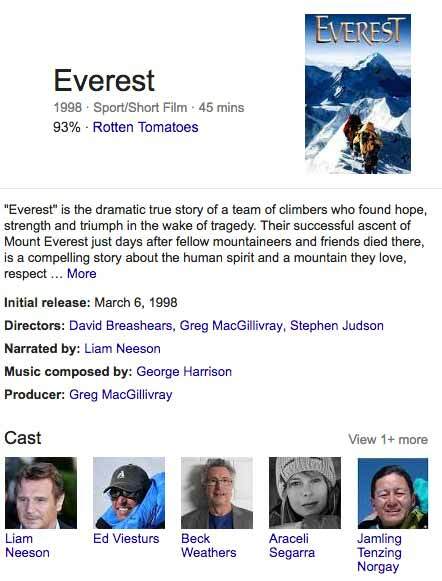 Ed was on the mountain during the 1996 Everest tragedy because he was the star of the IMAX film also named Everest. With millions of dollars in cost and months of logistics on the line, they jeopardized everything to provide assistance to help save lives. What I liked most about Ed is unlike almost every other high altitude climber, his approach was markedly different. Many climbers take rash and unnecessary risks under a spell of “summit fever” to try to climb mountains – and unlike a business where you might lose some money and time – on the mountains, you can lose your life. For example, Annapurna has a fatality rate of 3 to 1 – meaning for every 3 people who reach the top, one person dies trying. You can see why people, in this emotional state, make decisions which end up leading to their death. Many of Ed’s climbing friends are no longer among us for this very reason. Not only has Ed lived due to his unique approach… he’s also, as a guide, never lost a client, either – which is virtually unheard of in high altitude climbing. I remember the day vividly. I was in in Salt Lake City, flown down to critique a 3 day seminar to help them optimize their close rates. Sitting next to me was a gentleman named Rich Christiansen, a massively successful businessman in his own right who I immediately hit it off with. We talk business for hours, no joke. As we were about to leave Rich’s wife asked me what I liked to do for fun. I told her I liked to trek along the mountain ranges near where I live in California and that I also had a fascination with reading about high altitude climbing. That’s when their eyes lit up. I then said that my favorite book I ever read was called “No Shortcuts To The Top” by Ed Viesturs. Small world – Rich knew Ed personally and graciously put me in touch with him. My agenda was simple – I wanted to extract every secret to success that Ed had locked in his head, and translate it to you to help you with all your business endeavors, and to help you climb and summit your own “Mt. Everests” in your mind. I do all the work to get the product created, the sales letter, the members area, the support, the outline, the structure of the course and so on — and he openly shares and answers every question I have… and we split the profits on all the sales. I told him it wouldn’t be a lot because I said, while we do intend to sell this for $49.95 to the public — I wanted to offer you a deal for the first 48 hours to get this for just $19.95. 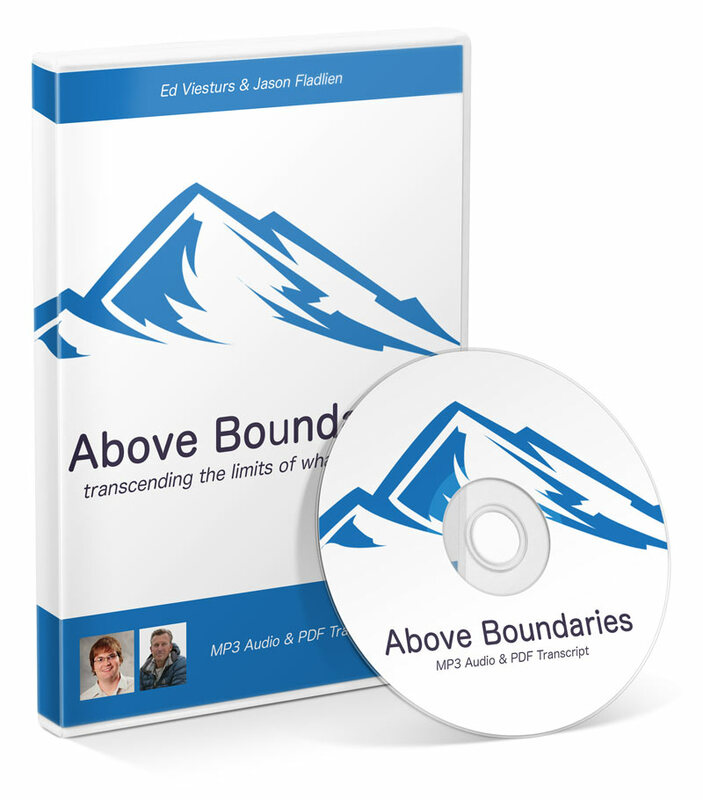 The result is a product Ed and I created together, published by Rapid Crush Inc. called Above Boundaries… and if you get a chance to learn the secrets of a legend like Ed for just $19.95, you make the investment ASAP. When Ed Shared This Insight With Me, It Made My Head Spin! Setting the “when not to succeed” goal in advance… it’s secrets like this you only discover for someone who has achieved something only 15 people in the world have… and what an edge this will give you in business and life! “That’s the way to nibble at these large, almost impossible goals…” Ed breaks it down once and for all! Why Ed was willing to walk away only having summited 13 out of the 14 peaks… and how he ultimately succeeded at FINALLY summiting the last peak! I urge you to get your hands on this resultant product I created with Ed which I call “Above Boundaries”. You get instant access to this audio mp3 + transcript companion training program and it’s just the thing right now for you to help you conquer the rest of this year and the many years of success waiting for you. The penalty for not signing up by Sunday, November 5, 2017 at 11:59 PM Pacific is you’ll pay more than double the price. While a great deal at $49.95, why pay more than you have to? Get started for just $19.95 for a limited time. I remember one time hearing world renowned success coach Jim Rohn say “the book you miss can’t help”. In this case, for casually listing for a little under two hours as I uncover secret after secret of how Ed was able to pull off something so incredible, so powerful that only 15 people in the world have ever done it… I genuinely feel sorry for anyone who doesn’t get access to this. Consider this… If someone was willing to share the synthesis of nearly 20 years of experience with you… and you could get all that in under 2 hours and for less than 20 bucks… is that a good deal? If you are not beyond thrilled for any reason or none at all… and you want your $19.95 investment back, simply contact us at Support and we’ll promptly and quietly give you every penny of your purchase back. You only benefit by signing up today and the only way you lose is buy not signing up right now! I’ve made it my life mission to find the most talented people in all walks of life… not just “the best”, but the “best of the best”. Not just the 1%ers. I’m talking about the 1%ers of the 1%. The true elite. Ed is one of those individuals and rarely does anyone get access to such an intimate, no-holds barred reveal like I was able to create for you with Above Boundaries. It’s served me well to find and study these true “once in a lifetime” type of successes, and now I present it to you in the easiest to consume and most powerful of all formats to give you immediate and direct benefit. Yes Jason, I’m in! I understand I must act now to secure my investment at the lowest price possible for the limited time this discount is available. By signing up right now I realize I get instant access to download the materials associated with the Above Boundaries training. I realize I risk absolutely nothing do to your generous guarantee and world-class support, and by clicking the add to cart button below I am signing up right now! P.S. it only takes one good insight heard once to have a profound impact on the rest of your life. What do you think a guy like Ed can reveal to you? Clearly he has a different, better strategy for conquering the unconquerable! P.P.S. And I’m not talking about mountains… I’m talking about the ability to unlock never-ending potential.